Oamaru Town has a diverse Arts and Culture - from Opera and Classical Architecture - to Steam Punk - The Forrester Gallery - and many Good Restaurants - check out Cucina Italia and Midori. The Whitestone Cheese Factory offers tastings and do a great scone for lunch. There is a Boat culture - within the old town check out the Friendly Boat Society and their antique Dinghys - The Criterion Hotel - The Galleries and Gift Shops - Housekeepers Design and The Events Centre within - the New Waterfront Shop - The Harbour full of small fishing and pleasure craft, The Little Blue Penguin Colony and Tour watch for penguins crossing at night and seals, The Yellow Eyed Penguin Viewing Platform, the surf at Kakanui and further south on the Route to Dunedin within an hours drive south. There is a very good information centre situated at the end of Thames Street, over the railway line - at the beginning of the old precinct. Check out the Moeraki Boulders And Fleurs Restaurant, City of Dunedin, to the south - Mosgiel, Milton, Balclutha and Invercargill return through Gore. Check out the Waitaki Valley and the Dams through to Omarama and on through the Lindus to Lake Hawea, Wanaka, over the crown range to Queenstown and Lake Wakatipu returning through the Kawerau Gorge to Cromwell and Clyde back on the Cycle Trail to SH1 through Ranfurly. North on SH1 visit Waimate, left from Washdyke, to Pleasant Point, Fairlie, Lake Tekapo, Lunch at the Astro Cafe and The Mt John observatory then on to Lake Pukaki and the Mt Cook National Park and The Hermitage Cafe surrounded by short walks. The Alps to Oceon Cycle trail A2O is one of interest to cyclists and this ends in Oamaru and is the longest Cycle Trail in NZ. Near Walking Trail - Historic Centre of Town - Restaurants - Town Centre - Tourist Attractions/The Town Port & Penguins/Drive to the Yellow Eyed Penguins just over the hill. The property was spotlessly clean and had everything we needed, and more. Fantastic central location meant we could walk to shops, the historic precinct, and the Oamaru gardens. Great location for seeing all the sights. Great location for seeing all the sights. Warm and cosy house. Very well placed for Oamaru's attractions. Location right by town, reasonably basic but well appointed house with decent beds etc. 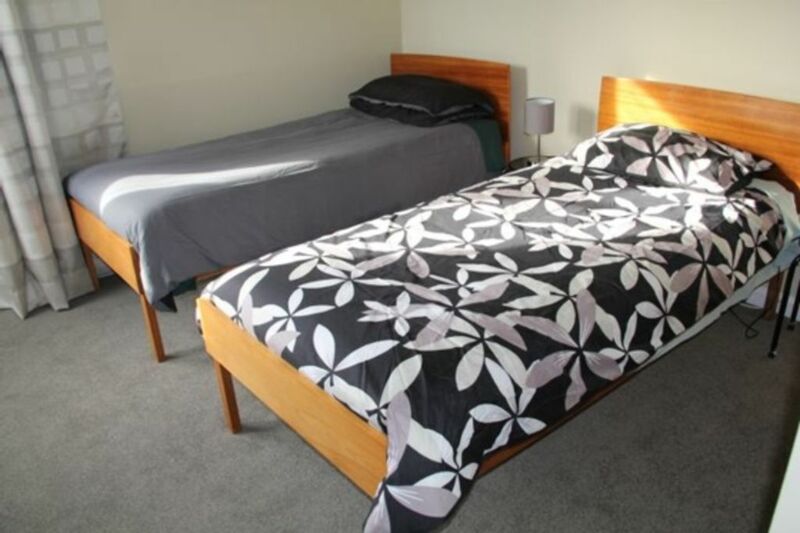 Location right by town, reasonably basic but well appointed house with decent beds etc. I'd stay there again. Really cute little bach that served our purpose - close to the Old Town. Really cute little bach that served our purpose - close to the Old Town. The house is well set up to be cozy and warm during the winter too!